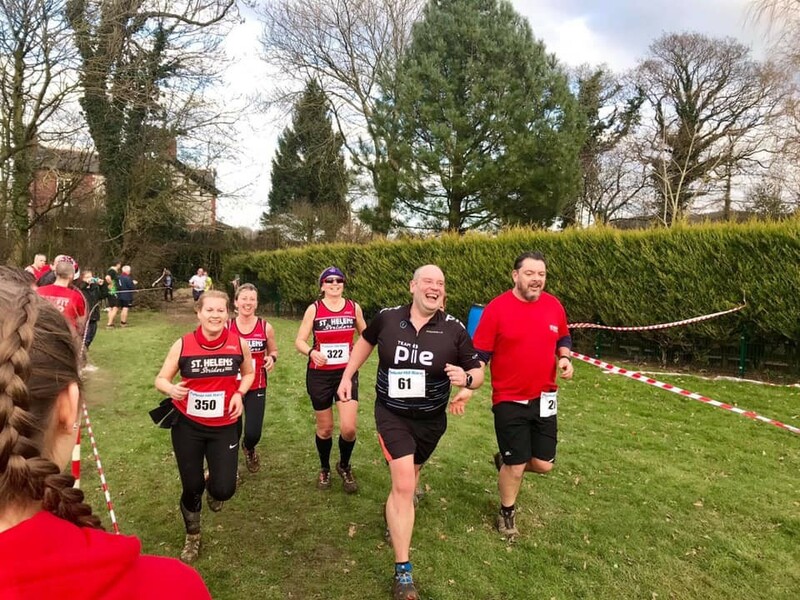 Saturday saw the 49th running of The Parbold Hill Race. 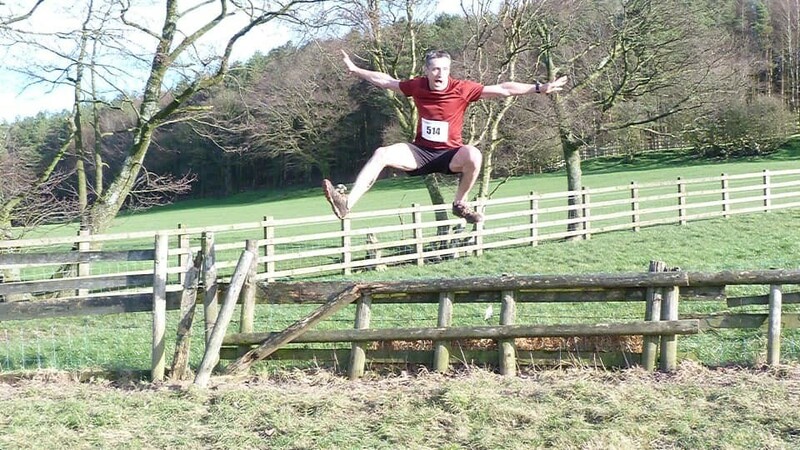 Over the 7 mile course, runners have to negotiate muddy fields, climb lung busting hills and hurdle fences. Despite these challenges, it is one of the most eagerly anticipated events on the local race calendar. 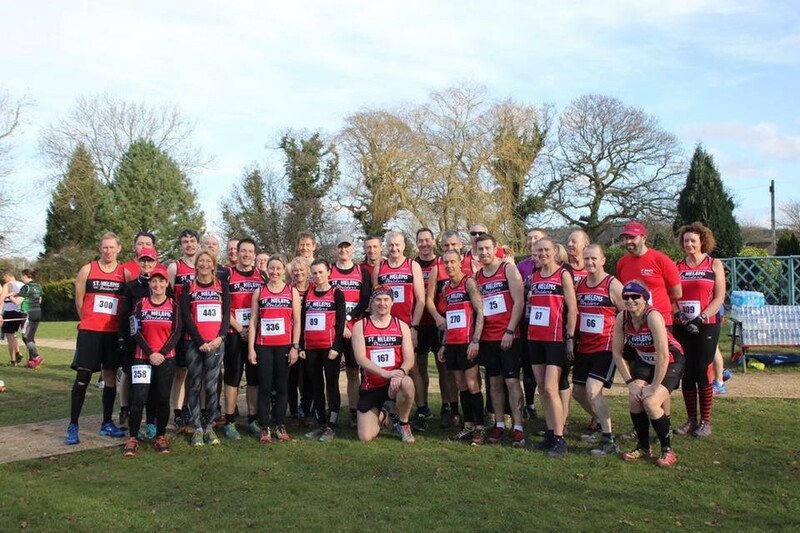 No fewer than 41 runners from St. Helens Striders toed the line at the start. The irrepressible Jon-Jo Doherty (41:48) finished in 2nd place, beaten only by his good friend and rival, Tom Griffiths of St. Helens Sutton AC. Next home for Striders were Chris Hazeldine in an impressive 8th place (43:39) and Richard Seville in 42nd overall (49:41). For the women, Susan Kerfoot delighted her friends and family by finishing in 25th place in a time of 1:03. She was followed by club stalwarts Sarah Charlton and Sharron Burt, who showed their unparalleled grit and determination to cross the line seconds apart in 1:13. 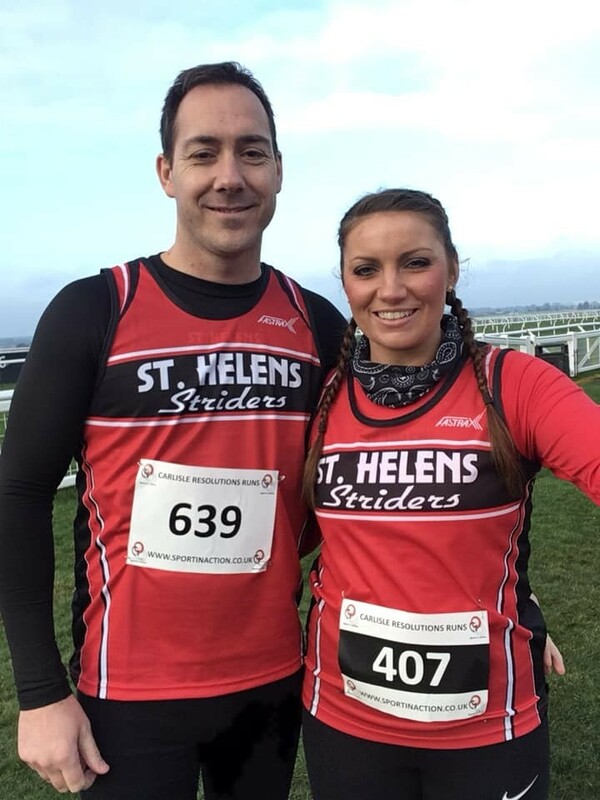 On Sunday, a team of Striders crossed the border into Wales to test themselves in the Wrexham Half Marathon. A high-quality field assembled for the race which incorporates the North Wales Half Marathon Championships. David Wilson continued his recent splendid form, finishing in 40th place overall in a breathtaking time of 1:16. Kelly Hamilton stepped up to the 13.1 mile distance after her stunning exploits last year and continued in the same vein, crossing the line in 1:31:15 for 37th placed female overall. She was closely followed by the ever improving Hannah Whittaker, who chased Hamilton home in a time of 1:31:31. 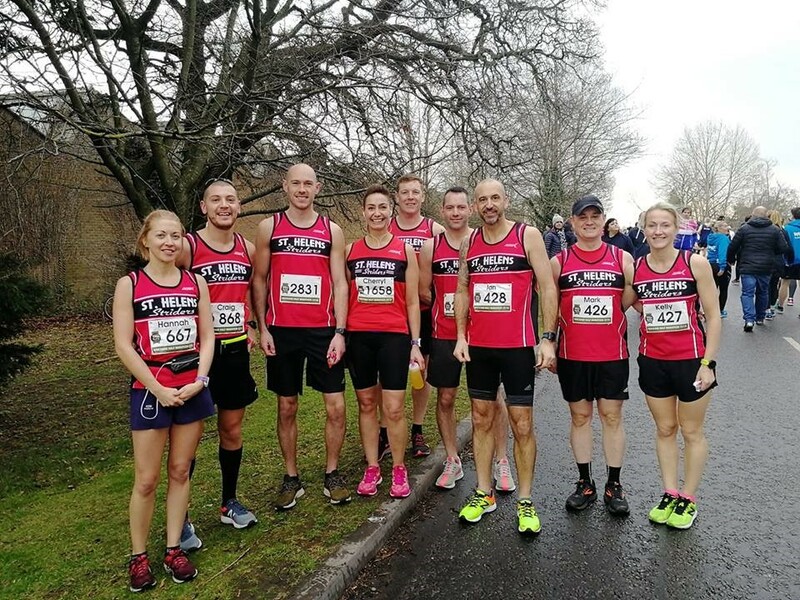 A number of the Striders contingent achieved new Personal Bests in the race. Whittaker’s loyal husband Craig achieved a new best time of 1:40, as did second Strider to finish, Scott Robertson (1:27), Ian Wright (1:33), John Williams (1:30) and Mark Hamilton, who knocked a huge nine minutes off his previous best (1:44). Jenny Appleton also achieved a fantastic PB of 2:24, seven minutes faster than her previous fastest mark. 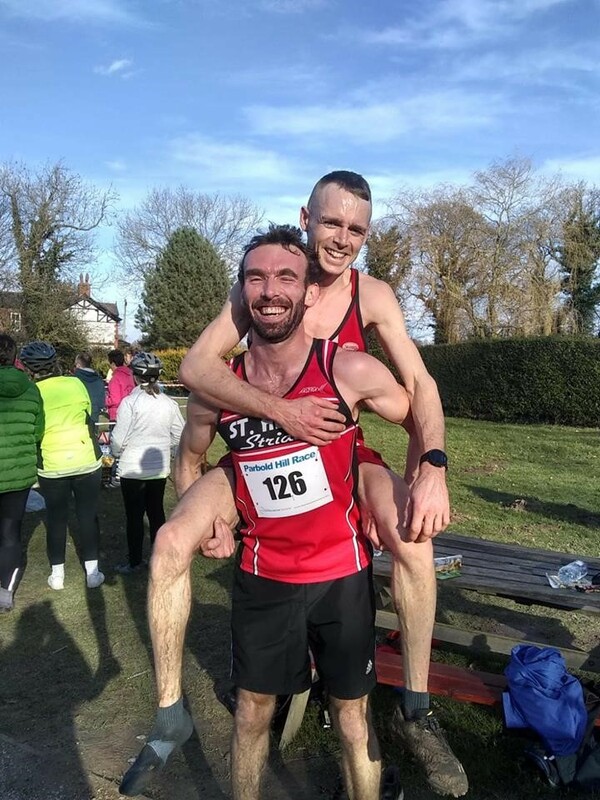 Cherryl Orrick and Sue Heaps ran superbly to set new Striders age group records in times of 1:50 and 1:56 respectively, and there were good performances from Paul Booth (1:40) and Paul Brown, who selflessly sacrificed his own time to pace a good friend to finish in around 2 hours. Kerry Riley also achieved her target of a sub 2:00 finish in 1:59. 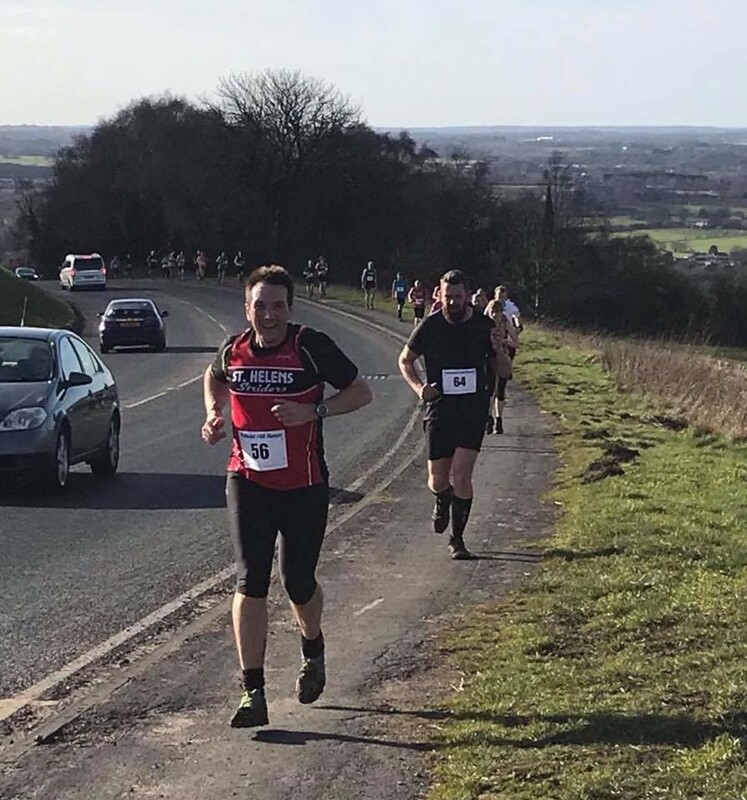 Lone Strider at the Central Lancashire 5k was Chris Reid, finishing in 21:35, while Mark Riley took on the Power of 5k Race in Lancaster and finished in a blistering time of 17:58 to record a new PB. Striders ahead of the Wrexham Half Marathon. 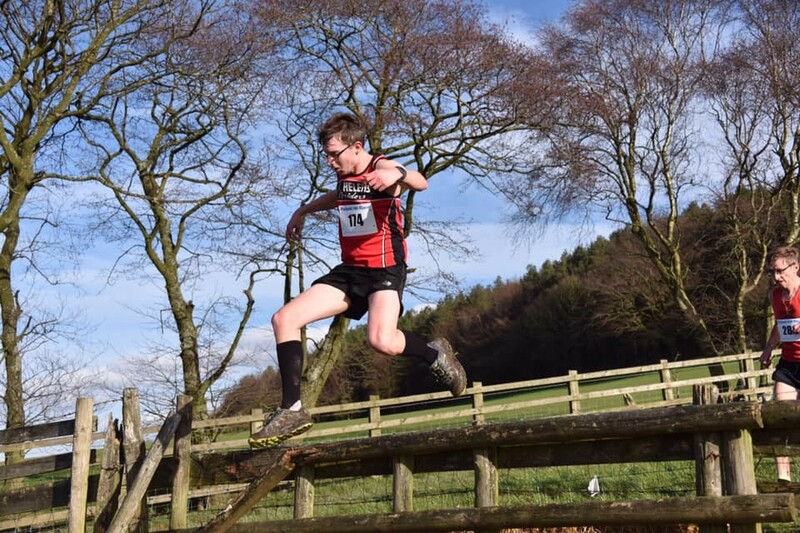 Chris Hazeldine leaps the fence on his way to 8th place at Parbold. 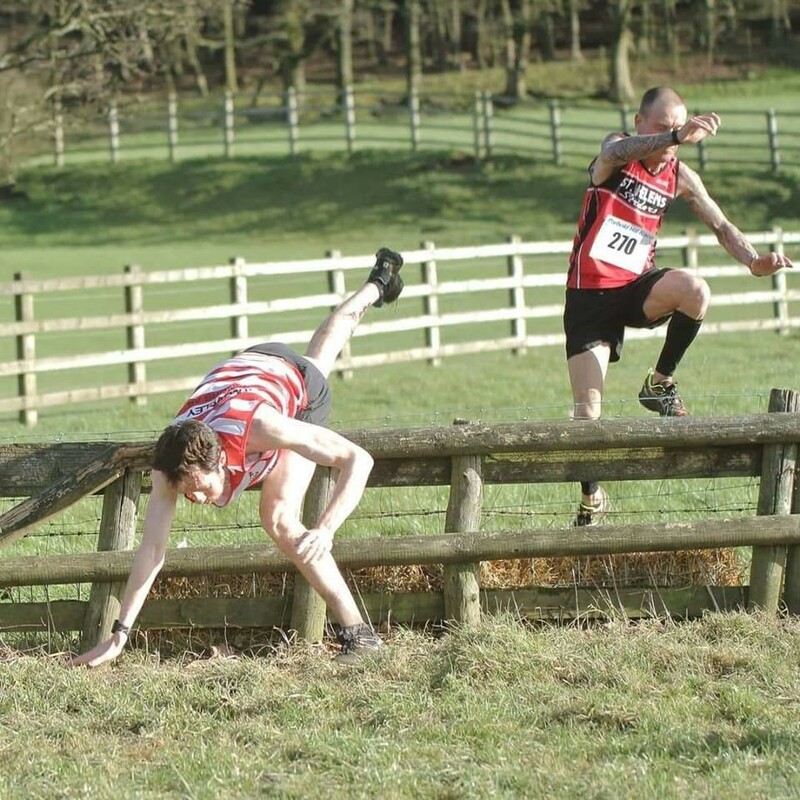 Knowsley Harrier falls heavily. Mike Brunt leads a band of Striders across the line. Anthony Ellis leaps the fence at Parbold. Richard Seville with a prodigious leap. 2nd Placed Jon-Jo Doherty holds aloft winner, Sutton’s Tom Griffiths, at Parbold Hill Race.